Years ago, on a whim, I booked a trip with my friend to Spain. I slowly psyched myself up for paella, hams that cost as much as gold, and churros con chocolate. The trip would take place in the waning days of August, a time when many locals close up shop and escape for their own vacations to the Greek isles and other beach paradises, but I assuaged my type-A worries by dusting off my high school Spanish and obsessively phoning restaurants. A few weeks later, I boarded my plane, very short list of restaurants in hand, guidebook and map tucked snugly in my carry-on. 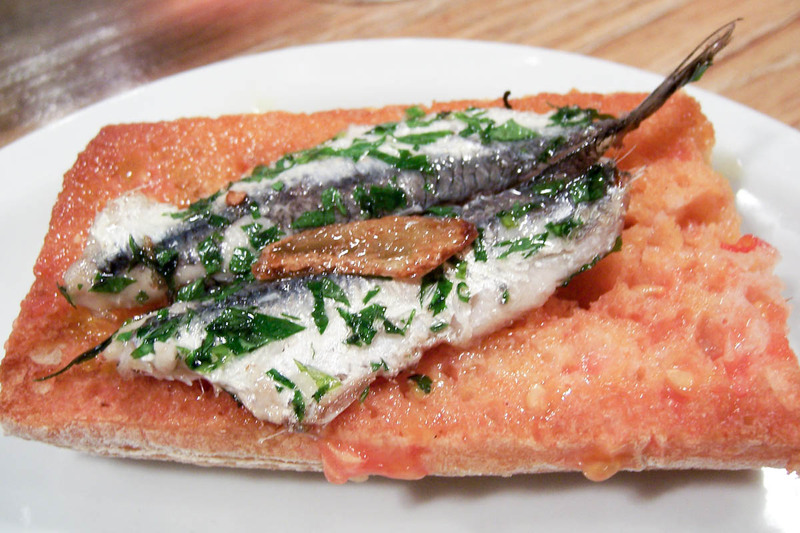 I crossed my fingers for deliciousness in Madrid and Barcelona. I’ll admit I didn’t take to Spanish food immediately. I couldn’t get used to bacalao, cod that had been dried/salted, and then reconstituted – I wasn’t used to the chewy texture nor the strongly salty, fishy flavor. I quickly maxed out on paella in Valencia, where, at every meal, my friend ambitiously ordered two family-sized paellas for two women of average appetite. (The flavor of salty, squid-inky, slightly-undercooked paella rice haunts me to this day.) 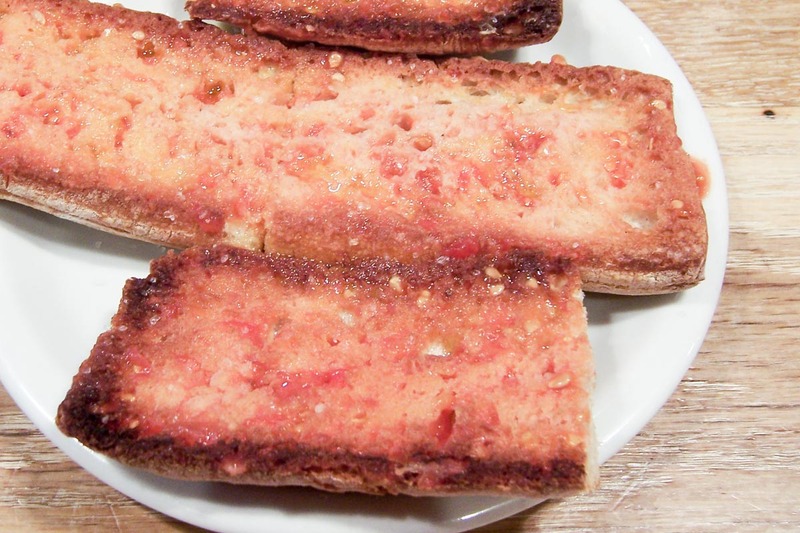 And I just didn’t get the Spanish bread that was served to us at tapas bars – if grilled, it was delightfully crunchy, but otherwise it just served as a bland, nondescript vehicle for savory toppings, often in the side dish pan con tomate or pa amb tomàquet (“bread with tomatoes”). At some point in our vacation, we ventured to Barcelona and found our way to Paco Meralgo, one of the restaurants on my list. 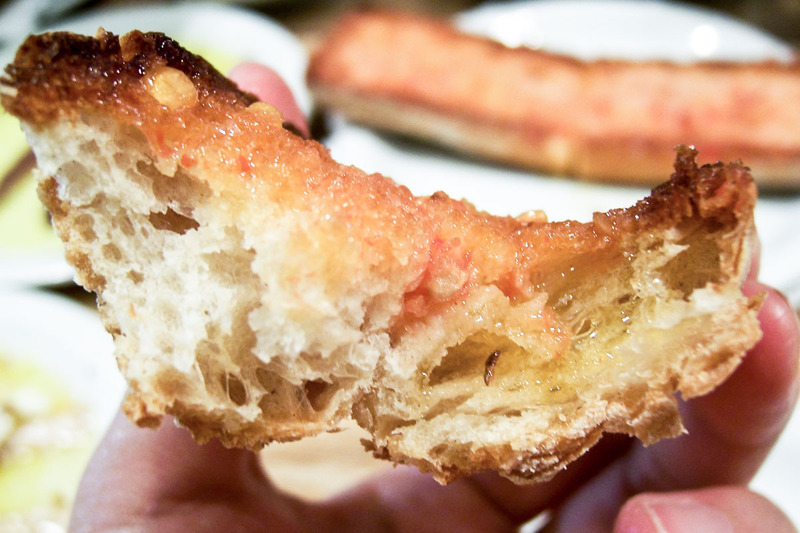 On a quiet afternoon, sitting at the bar at Paco Meralgo, I had my biggest food revelation in Spain when my friend and I were served Paco Meralgo’s version of pan con tomate. It was a dish with a strong point of view: whereas other restaurants had treated the bread as a pale, underbaked afterthought, here the bread was the perfect combination of crusty outside contrasted with chewy, tender crumb. And where other restaurants had seemingly carelessly dragged a slice of underripe tomato across the bread, here, the toast was dripping with tomato, the crumb soaked with savory tomato juice. The toast was finished with a generous drizzle of olive oil and crunchy sea salt. There, perched on a bar stool and hunched over my plate, I found myself in gustatory heaven. We had a lot of other meals on that trip, but I will never forget the moment Paco Meralgo introduced me to the best pan con tomate/pa amb tomàquet I’ve ever had. When I came home, I immediately tried to replicate the dish. After a little research and some trial and error, I hit upon a pretty foolproof recipe that I’ve made dozens of times over the years. 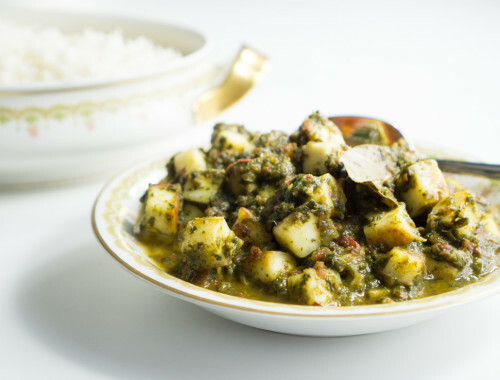 My version incorporates an aggressive amount of raw garlic, which adds both a wonderful stink as well as an unexpected bite and pepperiness. 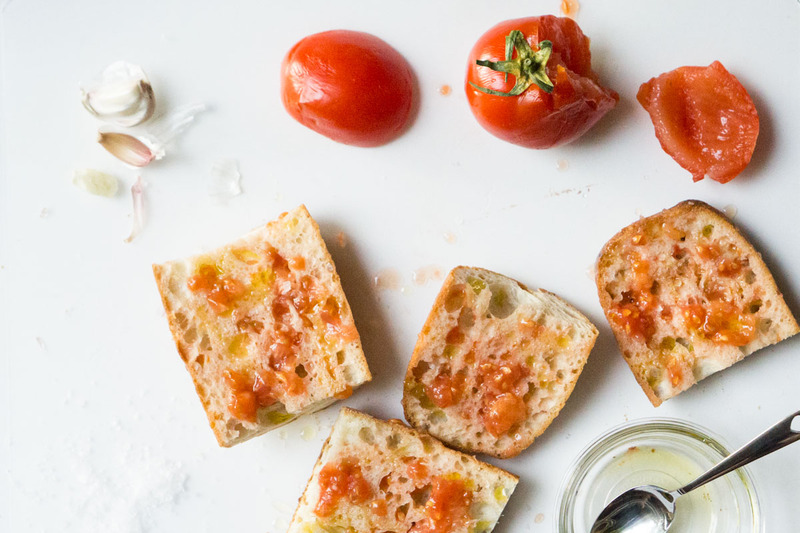 The recipe is very forgiving of non-summer tomatoes – the garlic, olive oil, salt, and bread all combine with even mediocre tomatoes to become something extraordinary-tasting. 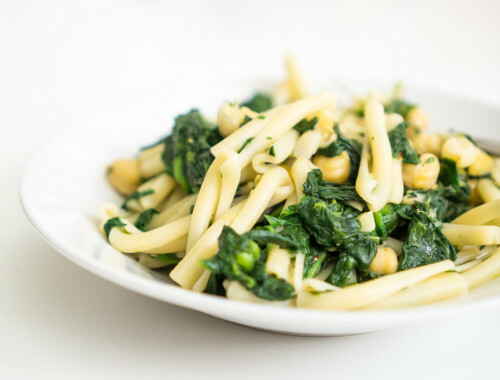 This is the easiest side dish or starter to make, and everyone loves it. 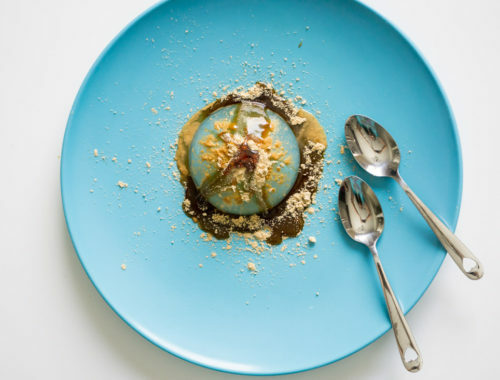 It’s also a great light lunch for one – you could have it with a soft-boiled egg, top it with jamón or other cured meats, or eat it alongside a salad. 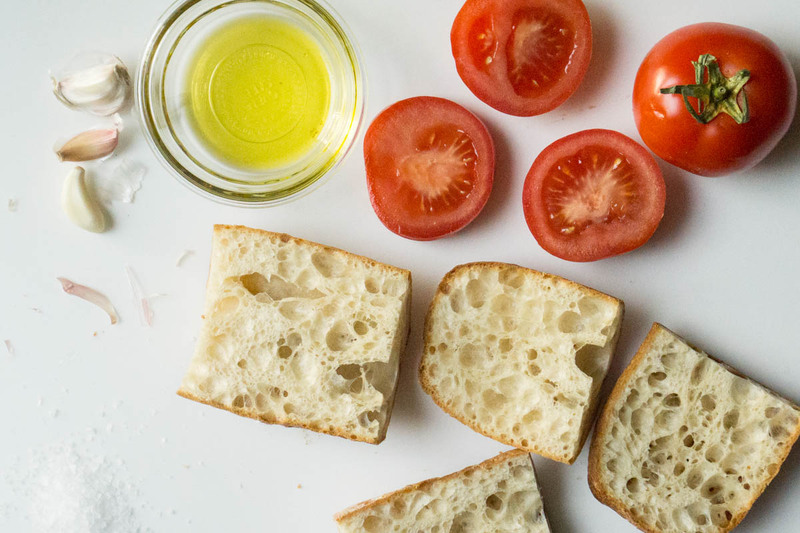 Just make sure whomever you’re hanging out with doesn’t mind the smell of garlic (or make sure you share the pan con tomate!). Cut the baguette or bâtard in half lengthwise. Toast the bread halves. When cool enough to handle, rub the toasted bread halves with the clove of garlic to taste. Cut the tomato in half. Rub the tomato halves over the toasted, garlicky bread, slightly squeezing the tomato as you rub. Rub until the toasted bread looks moistened. 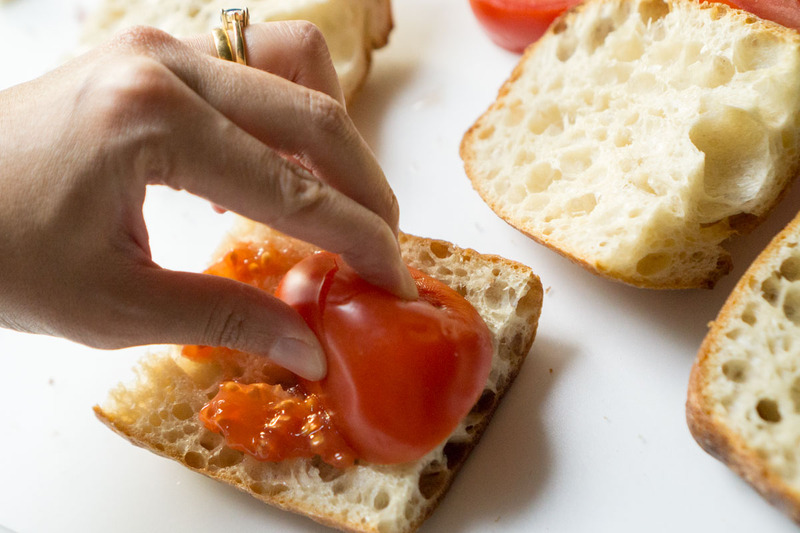 Scoop out the gelatinous tomato seeds with your fingers and carefully place on top of the toasted bread. Drizzle generously with olive oil to taste. Top with Maldon salt to taste and serve immediately. If you let it sit around, the bread will absorb all the tomato juice and get soggy and cold.